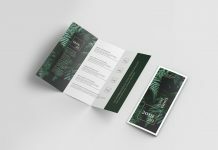 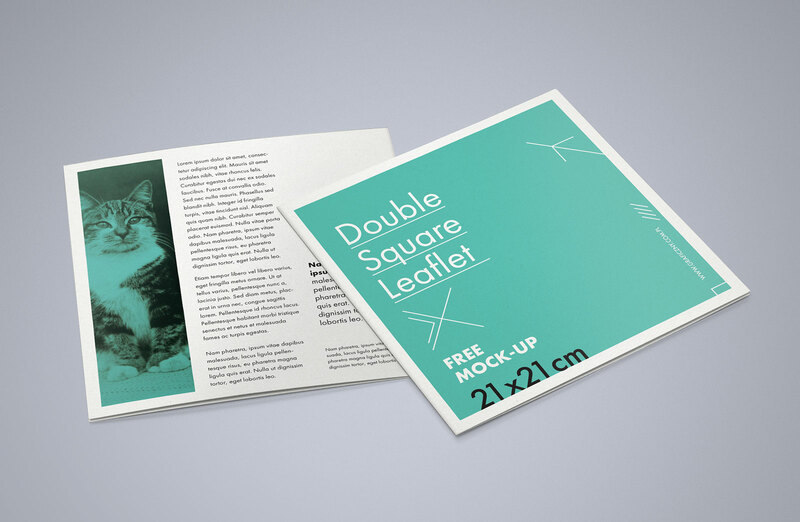 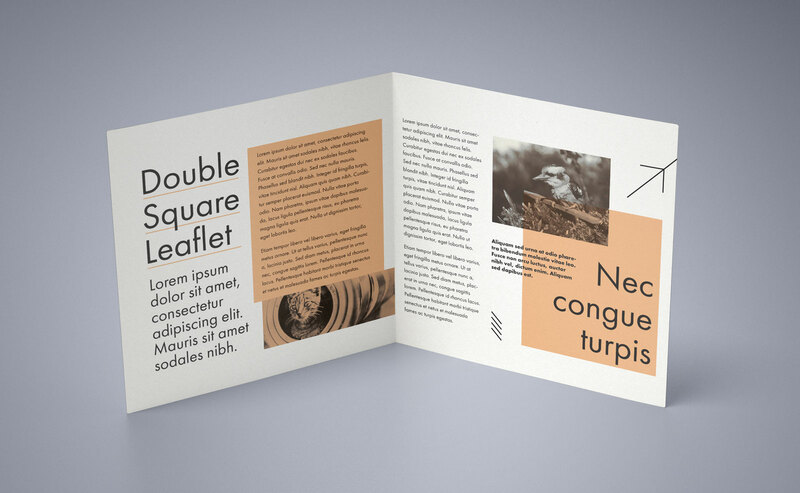 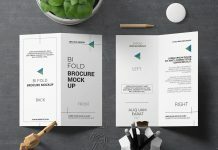 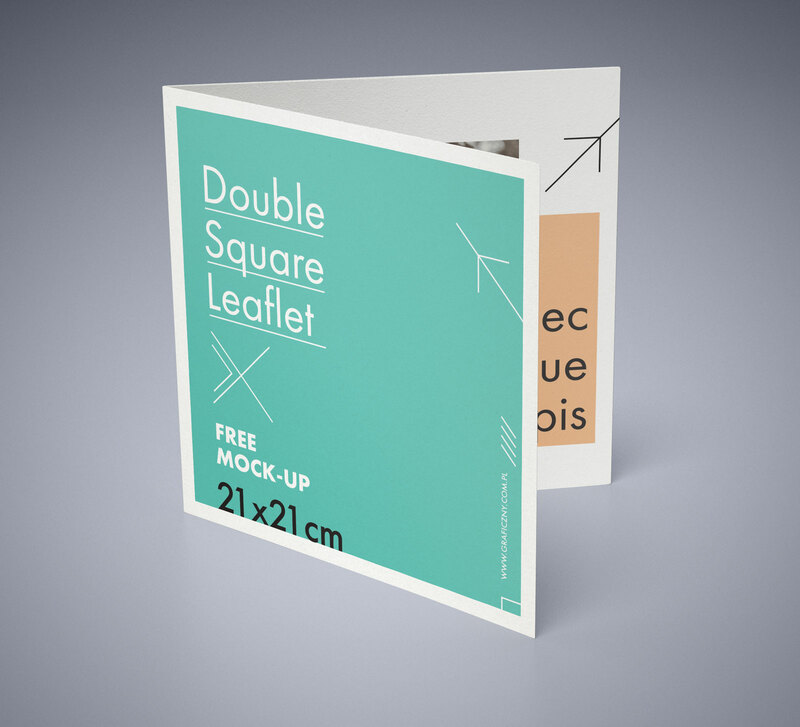 Another beautiful 3D generated square in shape Bi-fold brochure mockup to showcase your cool leaflet / brochure designs. 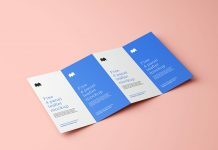 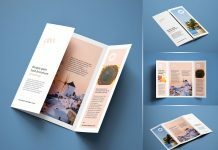 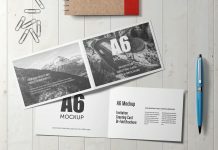 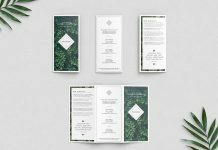 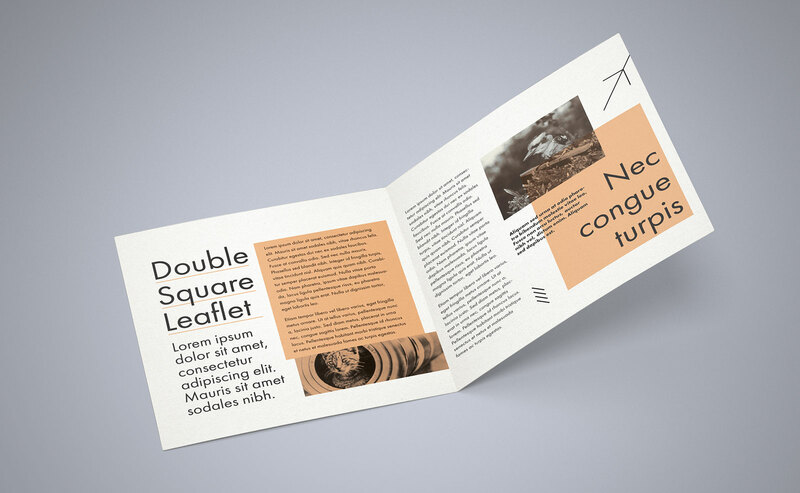 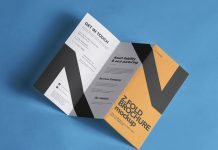 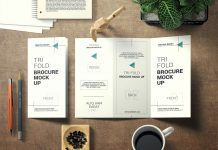 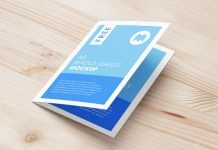 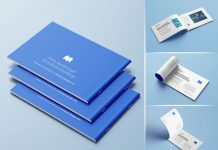 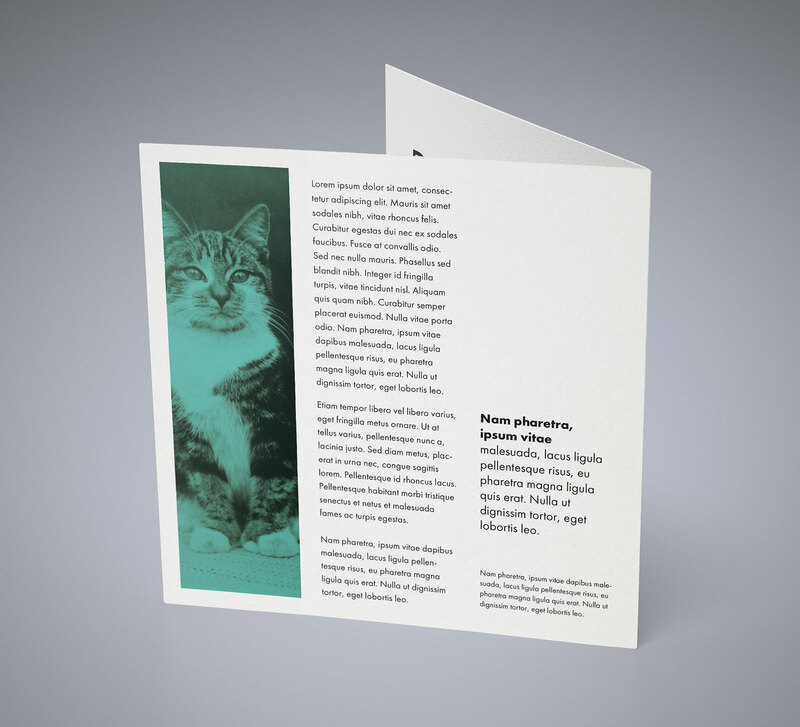 This brochure mockup has 5 different perspective views standing as well as laying on surface. 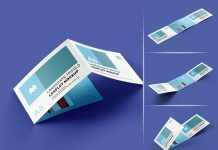 Layers are well organized and smart object ready.